The following is an unapologetic rant and you will get offended. I'm talking about young folks, teenagers through middle age. I've seen comments online by a number of folks who claim e-books are not real books. I've had people personally dismiss me because I only offer my books in e-book format. That, by the way, is insulting. To insinuate that none of the effort I poured into my work counts because the words appear on a screen rather than paper does not make me want to even consider putting forth the extra effort to publish physical copies. I love the smell of a book! I like to feel the weight of a book in my hand! I spend enough time staring at a screen! You are not a reader. You do not enjoy reading. You enjoy the experience of making people think you are intelligent because you have your nose shoved in a book and you have stacks of moldering paper all over your house. When I'm reading a book, especially a really good book, I'm transported into the story completely. I'm not paying attention to the smell of the book. I don't feel the weight in my hand. For that matter, I don't typically register any sensory input around me until someone does something to get my attention. As for the comment about not wanting to stare at a screen, I don't have to tell you that there are countless types of e-reader displays that have been engineered to replicate the experience of reading paper, nor do I have to tell you that reading from a physical book will give you the same exact symptoms of eye strain that reading from a computer screen will for the same prolonged length of time. Paper books fall apart. 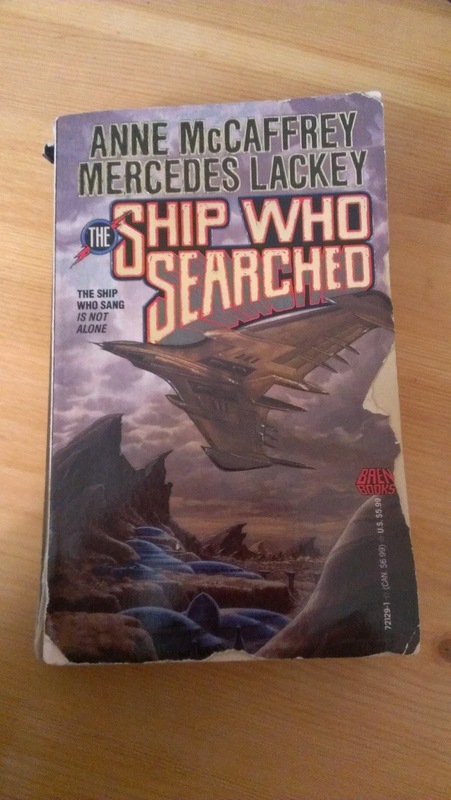 You see that copy of The Ship Who Searched up there? Look at the condition it's in. Some of the pages are so brittle that they flake off when I turn them. And that book isn't even twenty years old. Also, it has a book smell. Some people my find it appealing, but to me, its mildew and dust mites. Not exactly something I want to shove my nose into while inhaling deeply. Another problem with that book is that I spent $5 for it at a used bookstore. Of that $5, the author received $0 because I bought the book second hand. E-books are inexpensive. Even the large publishing houses have seen the merit of reducing the price of digital versions of their books. With an e-book, I know that the author (or their estate in the case of older books by deceased authors) is getting a royalty for every purchase. But people buy used things all the time! Yes, we do, and I do a lot! But one of the main reasons for this, besides thrift, is that it is better to get all of the use out of something before it finds its way to the landfill. E-books do not end up in a landfill. There is no physical waste. And before you begin your argument about electronic waste, please take a look at that high end smart phone in your hand. You know, the one you are waiting to trade in for the newest model when your contract is up. E-waste is a huge problem. 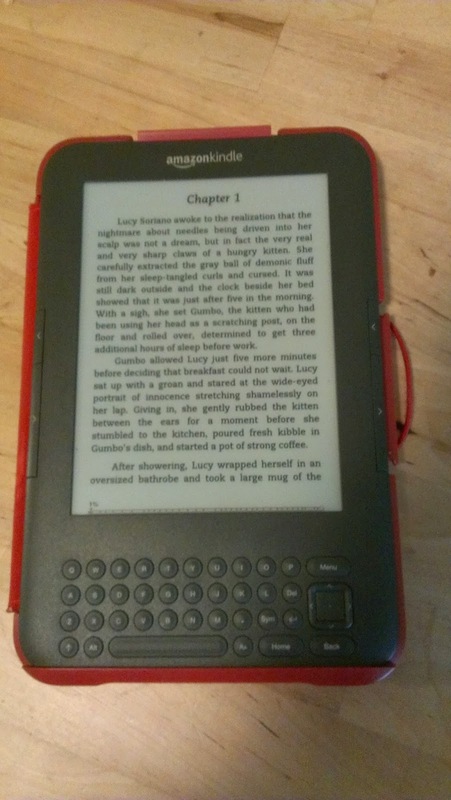 But it is a huge problem that would not be impacted at all if e-readers did not exist. For me, downloading the Kindle app in 2010 increased not only the volume of what I read, but also broadened my tastes. There are millions of books out there and there are thousands of free books by authors I may never have heard of otherwise. For good many of them, I've gone on to purchase all of their works based on those they've offered for free. Reading independent authors is the electronic equivalent to shopping locally. You are directly supporting said author for their work and trust me, we thank you for it! 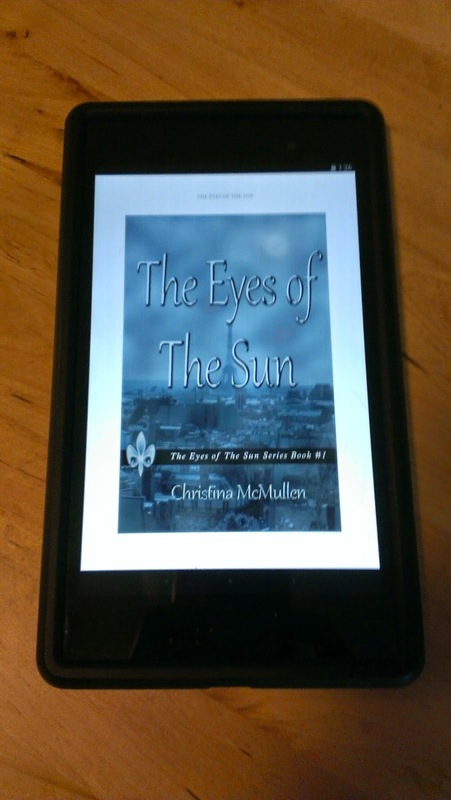 Yes, downloading the app and seeing that self publishing of an e-book was within the realm of possibility was very much an influencing factor in my finally getting around to finishing the story I began in 2004. Thousands of people have downloaded my first book and those downloads in time turn into sales of my other books. Sure, thousands sounds small when you realize that best sellers do that in a day, but I can guarantee that if my only option was to publish hard copies, the number of readers I'd have would be closer to ten and that may be generous. Also, I carry a small purse. I don't like being burdened with a whole bunch of heavy objects, but I like to have something to read when I've got down time. E-readers do that and smart phone e-reader apps do that even better. The shelves in my house now display art and other decorative items alongside a handful of books that I've kept because I can't get them in electronic format. I'm not saying to shun physical books. Love books, love all books, but think before you judge someone as beneath you for reading e-books. If the number of offerings on Amazon are any indication, there are more of us than you might think.